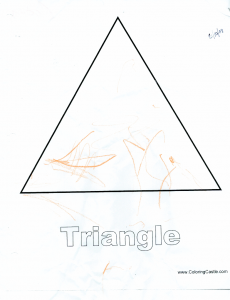 I realized after I posted Caden’s second video last week, that I had not posted a couple of other items. First of all, I realized that I had not posted (at least here) Caden’s “Happy Birthday” song.Â It is the “fastest” Happy Birthday I’ve ever heard.Â Here is the link to it.Â http://www.nealbreeding.com/vids/bday08.php. I had e-mailed it to a few people that weren’t able to attend his birthday party, because it was so funny, but never got around to posting it on the blog. 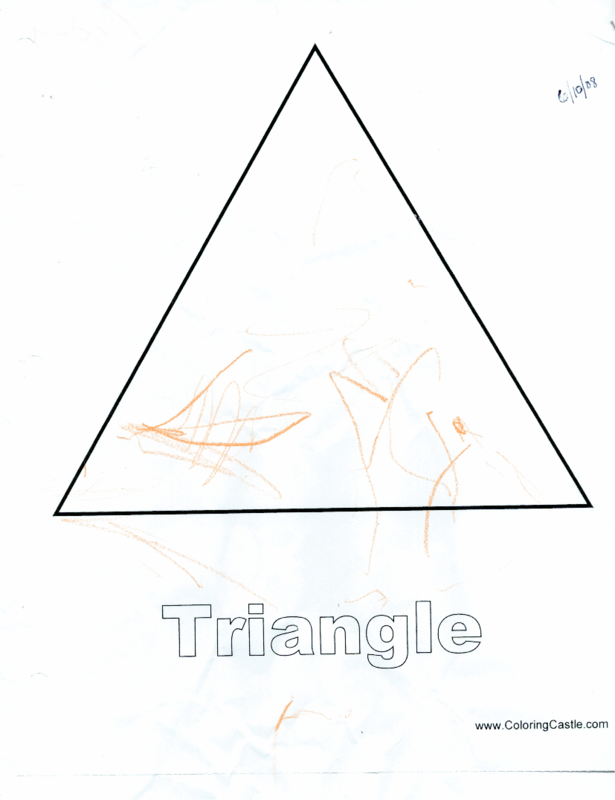 Next,Â Caden brought home his first “coloring project” from “school” (i.e. Daycare) a couple of months ago in June.Â I knew you would want to see it, so I scanned it, because I am a computer nerd and that is what I do, so everyone could see his talent.Â If you click on the image, you will see the image in a new window, you can then click on it to see the full size. ha! ha! Finally, are you sitting down? I have another video.Â Yes, really, you don’t have to wait another 3 months to see the next video!Â I should have bought a Mac a long time ago, ha! ha! Herbie Hancock had an instrumental track in the 80’s called RockIt.Â When looking for music for Caden’s first Video, “Don’t Stop Me Now,” I decided it would be a good soundtrack to use for his next video.Â I didn’t expect it to be so long before I got to the video, but it has been a busy summer. To make up for it, I used almost the entire soundtrack so you can get lots of Caden! Soak up as much of the mess as possible and then scrub the affected area with vinegar to offset the smell. Lint rollers and hand vacuums should be stored discreetly near your petâ€™s favorite hangouts for an easy and quick pick-up at any time. Garbage cans can leave unpleasant odors long after the trash is taken outside. Mix one gallon of water and three cups of bleach to neutralize the smell. Then, let it dry out in the sun where the ultraviolet light will kill the remaining bacteria. Running around outside can take its toll on summer sandals or flip-flops. Wipe down each pair of shoes with rubbing alcohol and place them on their sides in a well-ventilated area, followed by a light coat of baking soda, to soak up any excess moisture. To eliminate everyday odors, use premium allergen vacuum bags by ARM & HAMMERÂ®, which have built-in baking soda to eliminate odors while vacuuming. 1)Â I’ve been cooking since I was old enough to strike a match and not get into trouble! We grew up with an old gas stove that had to be manually lite.Â As most young boys are, I was a pyromaniac,Â so here was one way I could play with fire and not get in trouble! 2)Â I was single for such a long time, it was learn to cook or starve! My wife loves the fact that I do most of the cooking, which is always a bonus. I also have a part time web service company, programming, design, hosting, etc. and work closely with a very talented designer named Donnie Bell.Â The last few months, I’ve been working with Donnie and his wife Sarah on a web site for a Sarah’s new business venture. The site launched this week and I would love for you to visit it and test it out! 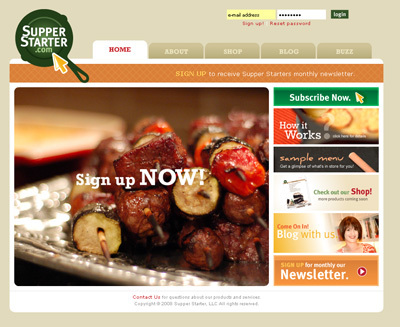 I would like to extend a personal invitation to you, my friends and family, to check out SupperStarter.com. Today Donnie and I launched SupperStarter.com, an online menu planning service for busy parents and working professionals. We have been hard at work developing copy and designing the site for over a year now. I am excited to offer you one month’s subscription free of charge. Just click on the link below or copy and paste into your browser’s address field. In return I am asking that you forward this one time offer to anyone you think might be interested. Let us know what you think. You will be the first to provide feedback before we launch nationwide. So check out the site and let Sarah know what you think.